It doesn’t matter if your dog is 5 months old or 5 years old, clicker training your dog provides a fast effective method for training. 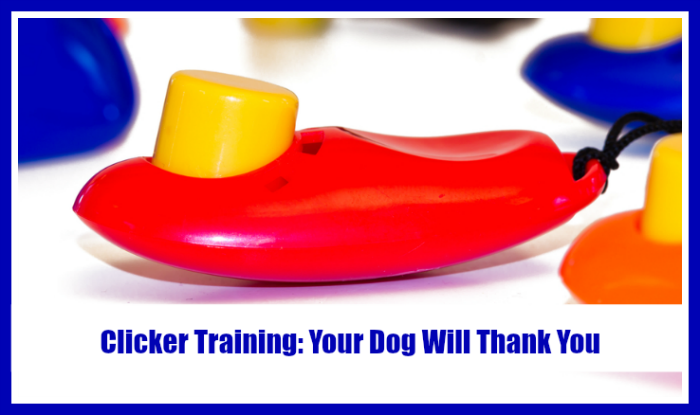 If you are looking for positively based methods to teach basic behaviors and solve problems look no further than clicker training. Clicker training and other positive based methods tend to be quicker and more effect than traditional force based methods. Treats and praise are given to your dog for coming to you when called. The dog is yelled at and put into a crate, given a bath, or some other thing that isn’t pleasant to the dog. So if I was the dog, I would probably never come when called if the result of my actions resulted in “2”. But if “1” occurred, I will come each time, happy and excited knowing that I was either going to get a treat or receive praise. This is how reinforced based methods work. The clicker provides a way for us to communicate with our dogs. The clicker is also known as a secondary reinforcer, and the treat/praise/toy are the primary reinforcers. When a desired behavior is given by the dog, we immediately “mark” that behavior with a click (click only once). The sound of the click can be delivered quicker and stands out more than our own voices. The “click” takes the place of saying “yes”, “good”, etc. The signal is clear and quick for the dog to understand that the behavior they just gave is exactly what we wanted. This is then immediately followed by a treat ( 1 click = 1 treat). This is a very down and dirty quick explanation. 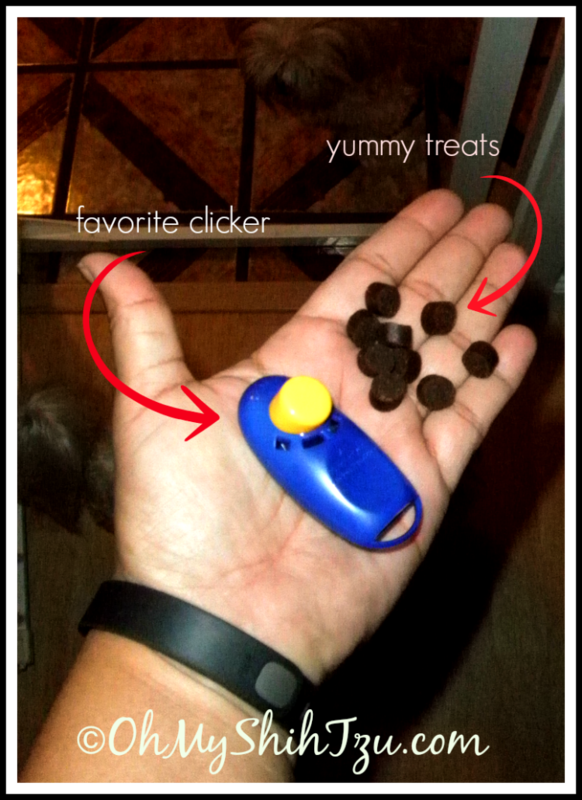 To see how to start your dog off with clicker training see our post Shih Tzu Training & Tips: Reach for the Clicker. There you will find a quick video introduction to the clicker and teaching a focus skill. This blog post is part of the 2015 A to Z Challenge. Today we celebrate the letter “C” with Clicker Training. Nice post about Clicker Training. Good Luck with your A to Z Challenge. We are doing it too! Loving this series – just saw your videos from the other post and I’m ready to start taking small baby steps with Jax now! Thanks so much, please continue this series…. The challenge with using posiive reinforcement iis that rewards must be provided quickly. 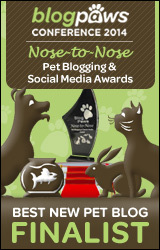 behaviors like peeing on the carpet, jumping up on visitors, biting, gnawing or chewing your furniture. need a much smaller, and far lighter wooden dumb bell to train your dog with. do, following tthe command to sit is not. We love clicker training for our young Lab Luke. He is really learning a lot of things very quickly using the clicker and positive reinforcement. I’m so glad we decided to try it. Thanks for the book recommendations too, because I have been looking for some good books on it as well. I think my parent’s dog could use some clicker training. Maybe I will start at Easter! He loves to jump up on everyone all the time! I will be following along! My first clicker looked just like the red and yellow one! I wore it on a blue stretchy band around my wrist. 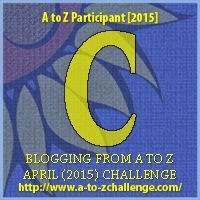 Kari recently posted…C is for Cheesy! One of my goals by the end of the summer is to work on Clicker Training with Luna! Thanks for this helpful post! Jessica Shipman | Beagles and Bargains recently posted…Can You Find the Easter Eggs? – Easy Easter Egg Hunt for Dogs! Great info and advice on this method.